Hi! My name is Ms. Monica Flores and I am the owner of Music Tree. I Would like to personally Welcome you to Music Tree. It is my desire that you experience a fruitful Music education here. We provide private lessons in a variety of different instruments. you to grow into the best musical version of you! I invite you to sign up for a Free lesson in the instrument of your choice and start your fruitful Music journey today! I look forward to seeing you in your first lesson! 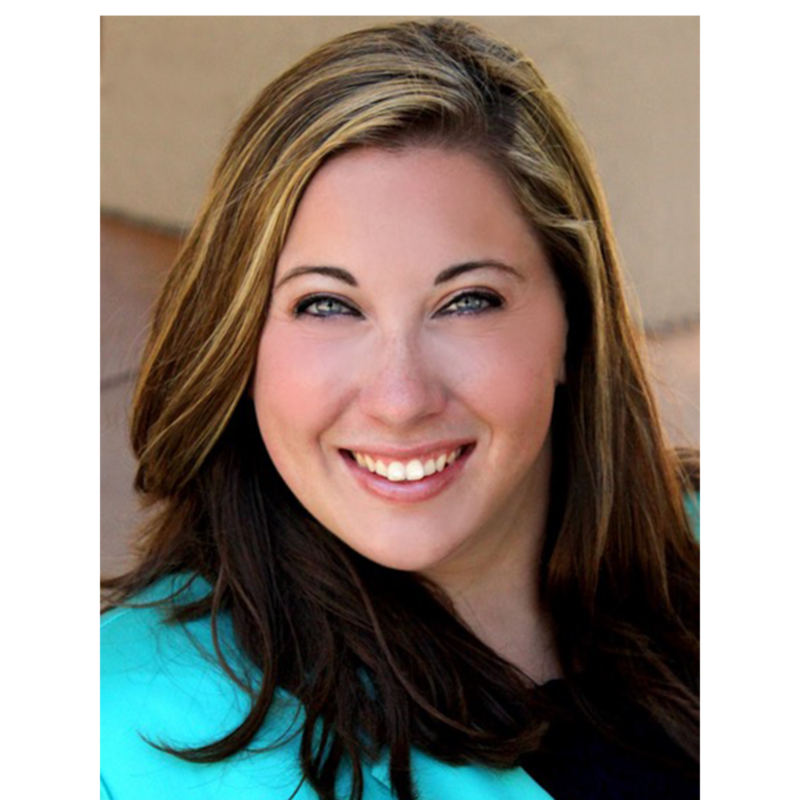 Steffanie Altig is a voice and piano teacher from San Diego, CA. Growing up, she learned music mostly by singing in her church’s kid’s choir and adult choir. Steffanie graduated from California Baptist University in Riverside, CA in 2012 with a Bachelor of Music: Vocal Performance Degree, and again in 2014 with a Master of Music: Vocal Performance Degree. Steffanie’s past performing experience includes Suor Angelica, H.M.S Pinafore, and Amahl and the Night Visitors with the Riverside Lyric Opera and Gianni Schicci, Carmen, and Pirates of Pinafore with the Utah Vocal Arts Academy in Provo, Utah. Steffanie has been working at Music Tree for two years, teaching voice and piano.Currently, she is also working as the school director, and loves watching her students’ growth as they work to master their craft. Jeremy was born and raised in Belgium, Europe, where he started playing piano at age 3. He was a year away from conservatory before moving to Los Angeles at 14. After a couple years at Mount San Antonio college, Jeremy went on to school for sound engineering in Hollywood, which led him to an internship with Hanz Zimmer. He later composed parts of music of an independent movie “The Legend of Hell’s Gate”. He went on to produce, record, and write two albums with his band “Feu”. After a few years of playing with the band, he slowly transitioned into teaching and has been enjoying his student’s growth. Adam Gomez is a piano, guitar, and audio engineering instructor at Music Tree. He graduated from Citrus College with an A.S. in Social Behavior Science and an A.A. in Recording Technology. He is currently finishing his Bachelor studies in Music Industry Studies at Cal Poly Pomona. When he is not teaching students at Music Tree, he works as an Audio Engineer at a recording studio in L.A., or producing and writing his own music. Nicholas Godoy is a performing guitarist and instructor in the Los Angeles and Orange County area. He currently is focusing on teaching and performing a variety of contemporary and classical repertoire for solo and chamber performances. He started playing the guitar early in high school learning jazz, classic rock, and acoustic guitar. In college, he pursued the classical guitar to play a variety of solo, chamber, and large ensemble groups in his studies. He has studied with several reputable teachers from the knowledgeable Martha Masters, Aaron Spoor, Vladimir Gorbach, and completed his Masters studies under the guidance of Andrew York. He studied in master classes Roland Dyens, Marcin Dylla, and Alvarro Pierri. He finished his BA in Music in at Loyola Marymount and Masters in Music in at California State University Fulllerton participating in several solo and chamber recitals throughout his studies. Recently, he has spent his time teaching, preparing solo and ensemble works, and participating at the Guitar Foundation of America’s yearly festivals. He performed with the Orange County Guitar Orchestra, a GFA guitar orchestra honoring the late Roland Dyens, and performed with his flute duo partner at the Orange County Guitar Circle. In his duo and solo repertoire, he is adamant about exploring a wide selection of music on stage from the country sides of North America, the rich rhythms of South America, the meditative works of Japan, and the wide array of musical traditions found throughout Europe. Maria Del Pilar is a musician who originates from Colombia where she first studied Vocal Performance at the Conservatory of Antioquia University and earned a Master of Music in Vocal Performance from Azusa Pacific University. She performed extensively throughout her country in solo performances and numerous opera productions as well as oratorios. Performance, the Cali Conservatory and Escuela Popular de Arte of Colombia offered her a full time position teaching voice. There she taught beginning, intermediate and advance students. After moving to Southern California, Ms. Pilar began teaching voice and beginning piano at Music Maker School in Anaheim Hills, expanding her activity to include the Yamaha Music School, Musika Lessons, Music Tree and her own private music studio. She also provides vocal training and musical direction for the choir at First Thai Presbyterian Church in USA, in Covina, California. Raquel Ramirez is currently a 4th year at Cal Poly Pomona working on her Bachelor’s of Music. While her emphasis is classical vocal performance, she dedicates her time to the fine arts of Opera, vocal jazz and musical theatre. She is currently working on her next upcoming musical production “In the Heights” made famous by Lin-Manuel Miranda. In addition, she is currently a part of the Kellogg Chamber Singers and the Jewel Tones, Cal Poly Pomona’s Sweet Adeline quartet (barbershop style). Since January 2018, she has been teaching piano and voice at Music Tree Schools where she has had the opportunity to share her musical wisdom with others. Mr. Noah is a musician, actor, and performer from Corona, CA. Currently, he is a senior Music Education major at California Baptist University in Riverside, CA. Inspired by his father’s musical group, his favorite rock bands, and love for singing, Mr. Noah has had vast performance experiences in collegiate-level choirs, travelling singing ensembles, and musical theatre productions. Only starting serious musical study at age 14, and formal lessons at age 18, he believes that many more people are capable of experiencing the joy of music-making and loves to work with beginner musicians of all ages. Mr. Noah continues to study voice privately, and is proficient on guitar, piano, and drums. Mr. Noah has also performed in several musicals and straight plays including two lead roles in the musicals Aladdin Jr. and Grease. He has also had numerous experiences volunteering in church music, including a recent summer internship at Saddleback Church in Lake Forest, CA. A strong advocate for music literacy and ear-training, Mr. Noah makes a great effort to teach and cultivate those skills in his students. To Mr. Noah, they are globally-recognized skills that are good to know, even if one does not pursue a career in music. He observes that they allow an individual to learn, rehearse, appreciate, and create music at a highly accelerated rate and sophisticated level which can be used to communicate with both professional and amateur musicians alike. Favorite Bands & Artists: Walk the Moon, Queen, Led Zeppelin, U2, One Direction, Maroon 5, George Michael, Billy Joel, David Bowie, Ed Sheeran. Other Interests: Playing video games (Xbox, FPS), watching YouTube videos, playing sports (baseball). Cedric Jones is a multi-instrumentalist from Modesto, CA. He fell in love with music at an early age, spending nights watching his father practice his bass to the soul/funk hits of his day. This led to Cedric picking up the saxophone in 5th grade, and drum set in 9th grade. After graduating, Cedric became the Drumline instructor at his high school for the next 2 years. During this time, and for the 7 years that followed, Cedric taught Martial Arts in the family business as a 4th degree black belt, teaching students of all ages how to be the best they can be, through the development of self-discipline, respect, and perseverance. For the past 10 years Cedric has also toured the west coast as the drummer in the Josh Rosenblum Band, electrifying audiences with an original, funky, and eclectic sound. This Band has brought Cedric down to Southern California, where he hopes to spread the benefits of music to an even larger audience. He sees our Music Tree as a perfect avenue to bring the gift of music to anyone who wishes to learn drum set/percussion/saxophone/piano. Alyssa found her calling at such a young age and has thrived in music classes throughout her life. The music schools she has attended include Colburn School of Music, Claremont Community School of Music, Burns Music School and Moultrie Academy. She was involved in choir every year from elementary school to college at Azusa Pacific University. She was also involved in musical theater for 10 years in a row and experienced many different shows and character roles. But, her main passion and area of interest was always in her solo vocal career. Growing up she was in many different vocal competitions where she competed as a finalist multiple times. One of the most recent competitions was for the West Coast Country Music Association, where she qualified two years in a row (2017-2018) to represent California as a finalist in the North American Country Music Association International competition in Tennessee. Alyssa graduated May 6, 2017 with a BM in Commercial Music and an emphasis in Vocal Performance and Music Business. She is currently still at Azusa Pacific University where she is working hard to complete her MA in Music Entrepreneurship and will be graduating May 2019. She hopes to continue to have a positive impact on her community by educating all ages in vocal performance. Chyka Jackson is a multi-cultural artist who is African American and Filipino American. She was raised mainly in the US and has also lived in the Philippines as a toddler. When Chyka was very young, her mom noticed that there was a big sound coming out of such a small body! “Maybe she’s meant to sing,” thought her mom, and promptly enrolled her in music classes. Chyka’s first on- stage experience was at the age of five where she performed with voice teacher Dalilah’s Rising Stars in Walnut Creek, CA. This was more than a recital; it was a mini touring group that performed at various venues and cities throughout Northern California. Since then, she was hooked and although Chyka was born with a congenital heart defect called Epstein’s Anomaly, it did not stop her or even slow her down. Throughout her childhood and into adulthood, Chyka has continued to call the stage her home by attending an arts high school, Arizona Conservatory for the Arts and Academics (ACAA), and later receiving her a BFA: Musical Theater degree from The American Musical and Dramatic Academy (AMDA) in Los Angeles, CA. After graduation, she has been blessed to perform in multiple shows including Aladdin in Utah’s Tuachan Arts Center and has stared as Lil’ Inez in the Hollywood Bowl’s production of Hairspray alongside various big names. Chyka believes that music is the one medium that is truly universal. Her goal is to have her music inspire others to live joyfully and with purpose. She is excited to work with InRage! She believes with this team behind her, she will soon realize her goal. Delora Hernandez was educated at California Baptist University where she graduated with a double Bachelor’s degree in Criminal Justice and Political Science, and is currently working on her Master’s degree in Organizational Leadership. On top of that, Delora has been performing on and off stage her whole life! She has 15 years of dance, 12 years of voice and choir, and 11 years of theater experience. Delora has a great love for both, performing and for working with children, and she is so honored to be able to melt both of her loves into one through teaching. Delora has a special place in her heart for Musical Theater is and super excited to help shape and grow Music Tree’s program!